Two years ago, I made a summer dream list. 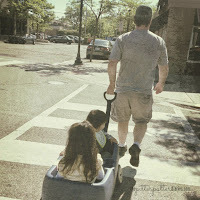 This included all the things I wanted to do with the kids over the summer. Chock full of fun places to visits and activities, this was sure to be a hit. You want to know how many we actually did? One that year. One the next. My overachiever tendencies lead me to make grand plans that never come to fruition. There is no joy in that. This summer, the summer in my Year of Empty, I am throwing caution to the wind and we are planning not.one.thing with the kids. Not one. The Hubs and I have a few plans of our own that are pre-booked, like Edel for me (yay!) and an event with Fr. Barron in Grand Rapids later in the week for us both. When it comes to keeping these kids occupied, this year less is more. Growing up in Iowa with a dad who didn't get summers off, we never made a list of activities to conquer. I had a reading list of my own creation, perhaps in conjunction with some school district initiative, but more likely just due to my bookworm genes. Other than that, we played in the field behind our house filled with dandelions. We rode our bikes down the street. We walked to Ev's and got ice cream. We ran back and forth from each other's houses playing whatever it was we felt like playing. We ran through the sprinklers in our yards and went to the pool on our side of town. We helped with planting in the garden and ate our weight in corn (hey - it was Iowa) and grilled food. We may have held a lemonade stand. Someone's family surely had a garage sale. When I was older, I may have hung out at the library (see bookworm reference). It was lazy and fun and filled with simple joys. 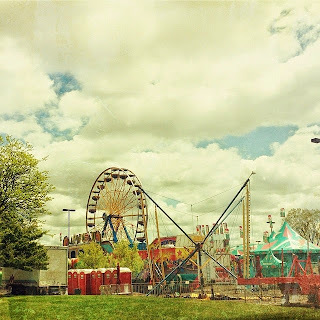 A big adventure was the annual excursion to the Iowa State Fair, the king of all state fairs. Funnel cakes, meat on a steak, outdoor concerts, and riding the cable cars could easily fill a day or two! Our family almost always planned some type of family vacation to somewhere new and adventurous, and probably educational. Whether it was Washington, DC via Boston, or South Dakota, or Colorado, summer vacations were part of our tradition. Aside from the family vacation, which always required a TripTik and AAA intervention, there was no planning out long and involved lists. There were no daily trips to here, there, and everywhere. We took the days as they came, and enjoyed them as they got longer and longer. We found joy right in our own backyards. 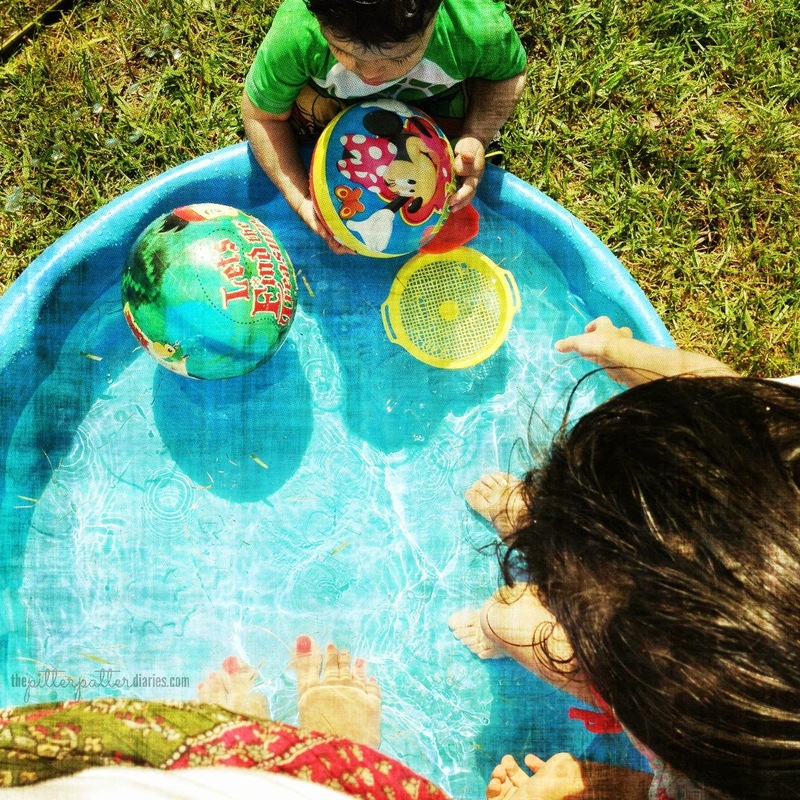 However different life may be, there is still something to be said of capturing the bliss of a simple, warm summer day. This summer, instead of the long list of things to conquer, I am focusing on less planning and more living. 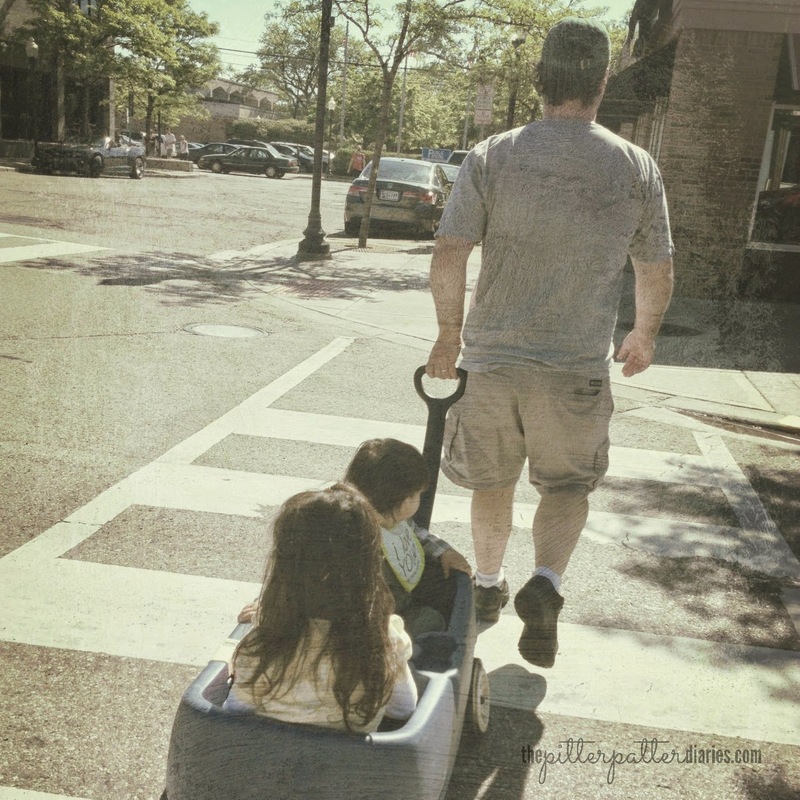 I want my children to have experiences that teach them (and remind me) to find joy in the simple things in life. Here are a few things I hope will help me stay focused on the simple. The Nature Box/Jar: While we haven't made them yet, the kids were wide-eyed with excitement when I suggested we create a box or jar for them to collect things from nature this summer. This was, of course, created in a moment of hurriedly trying to find a way for them to stop taking the rocks out of our rock bed around the patio. Nonetheless, I sense this may be a huge hit. The beauty? It is so simple! You can make it fancier if you want to craft up some jars or boxes, but my goal is to 1) obtain a receptacle and 2) let them at it to decorate. Nature walks, beach trips, park visits, backyard shenanigans...all opportunities to pick something to put in the nature box. Something that is not alive or decaying that is. 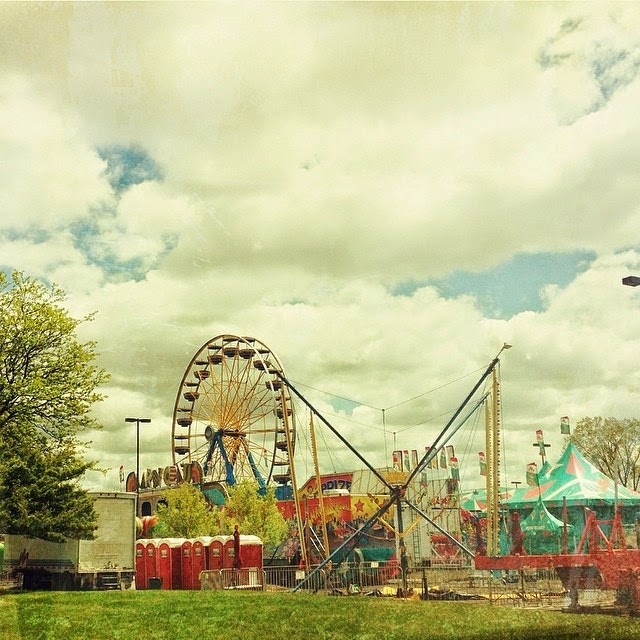 Exploring Local: If we are looking for things to do, there is plenty of local fun to be had. Join a local Facebook group, subscribe to your library email list, check out the Parks & Rec in the area - surely you too have more than ample opportunities to explore the land around you. Here we have concerts in the park, library story hours, farmers markets, parades and festivals, and so much more throughout the summer without even leaving our little suburb. Cast the net just a bit wider and even more fun awaits. There is no need to plan anything out. If we are feeling stir-crazy, I can easily tap into some of these resources and find us somewhere nearby to go...and pass along an invite to local friends. No need for involved play dates, though of course for some things a little notice is good. I want the kids to explore with as much whimsy as possible and capture the joy of childhood in its fullest. Being, Not Doing: Here is a novel concept for me. It may be fun to just stay at home! I'm sure we will hear the endless litany of "what can we DO?" from the older one...and maybe her mama. There are always things to do around the house, but to just be together - sit, talk, dream, create - that is precious time that goes far too quickly. 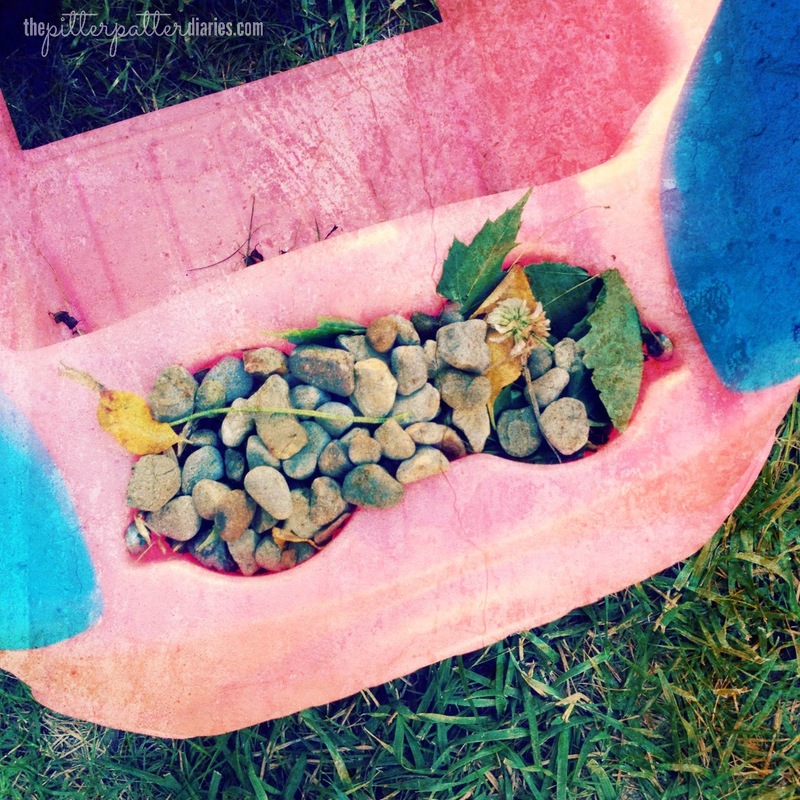 There will be no formal projects, nothing probably terribly Pinterest worthy, but I want to make messes, to paint, to play in the dirt (and then subsequently hose down the children in the yard...or not). To just be with them without having to pack up a bag and get in and out of the car, make multiple bathroom trips, spend money - to laugh and squeal and giggle and sing - that sounds like a better plan than a summer plan to me. Sure, it will likely be coupled with some screaming and whining, but someone just get mama a drink, okay? Do you have plans for the summer? 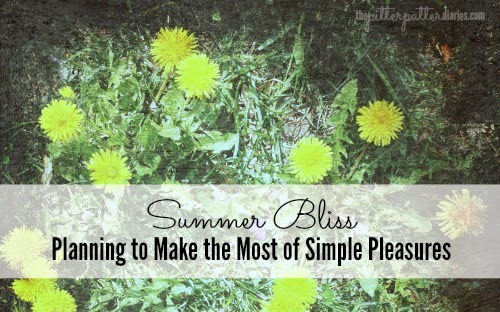 What would your blissful summer look like this year? Let me know in the comments. As always, let's make it a plan to get out there and love the world like Jesus while we are finding joy in life's simple pleasures! series on Finding Joy. Visit Blessed Is She to read more! Great tips for 'finding joy' this summer! 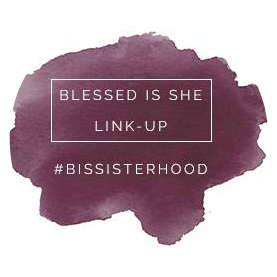 Thanks for linking up with Blessed is She!